We're on a roll with blog tours! We hope you're enjoying these guest Top 3 posts as much as we are! If you missed the past few weeks, you can find Sarah Delena White's Top 3 Faeries to Meet in Halayda here and Julie Hall's Top 3 Places to Travel here. Today, we are absolutely thrilled to welcome Sara Baysinger to Lands Uncharted as part of the blog tour for her new release, Ashen City, the second book in her Black Tiger trilogy! You can learn more about Sara and her books below, but first, here are Sara's Top 3 Dystopian Novels! Hello and thank you so much for hosting me today! When I was asked to post my top three favorite dystopian novels I squealed with excitement. The dystopian genre is my absolute favorite. I was writing in this genre before I even knew what it was or that there were other similar books out there. I’m sure many of you have heard of Divergent, seeing as they made movies out of the trilogy. (Which were really well done!) The heroine, Tris, is a character with whom I identify most out of all the characters I’ve ever read. Because of the culture she grew up in, she’s timid, but once she steps out of her comfort zone, she discovers more about herself and becomes fearless and strong. I love the progression of her character arc. I love her compassion and her courage to fight for what she believes in. The writing is fast paced, the details vivid, the story unforgettable. Oh my gosh, how I LOVED this whole series! I’m not really into princesses, so it was one that took me years to pick up, but when I did, man, I could not put it down. I just love the royalty scene taking place in a dystopian world. I loved the way Cass approached politics in the story, and how she made the heroine, America, so compassionate and bold at the same time. The romance wasn’t bad either. ;) This is a nice clean read with a heart-swooning romance. 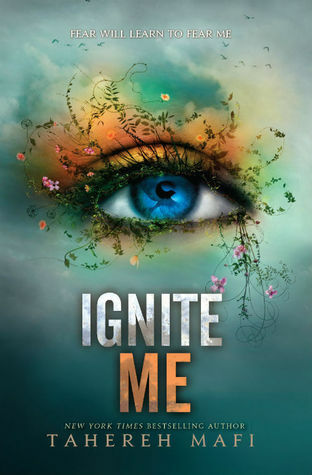 Ignite Me is actually the third book in the Shatter Me series. This is one of those series that starts out “okay” and slowly progresses to being one of your favorite series as you read through all three books. (At least that’s how it happened for me.) I read the first book, Shatter Me, and though I enjoyed it, I wasn’t compelled to pick up the second book. When I did finally pick it up, I got about 50 pages in and then sat it down for nearly a year. (A year, guys!) Then I stumbled across a bookstagram (that’s a bookish account on Instagram) where someone revealed a huge twist in the series. I knew I had to finish it, and boy am I glad I did! The romance is steamy, and the character arc in (I won’t say who) is so incredibly moving. Ignite Me is one of those books that I dog-ear pages to read over and over again. Another reason I really enjoyed this series was the lyrical writing style (which I might have attempted in my own books, The Black Tiger Series.) Mafi’s writing is beautiful and moving, and I highly recommend this series. However, if cussing and steamy make-out scenes bother you, I don’t advise you read it. What are your favorite dystopian reads? But Titus is always one step ahead. When Ember faces him head-on, she’s captured, only to receive another death sentence. But on her way to her execution, plans go a little askew, and Ember finds herself traveling to the one place no one dares travel: Louisville. 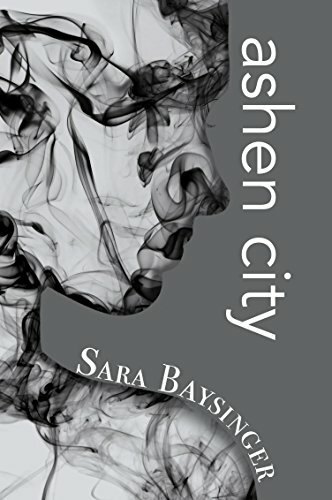 If the outskirts of Ky were a ghost town, the ashen city is the borderline of hell itself, but it’s the one place Ember can find refuge from the people who want her dead. As you can tell, this series is intense! Constant action, lots of plot twists, and fabulous world-building, character growth, and romance. I'm very much looking forward to the final installment!! You can purchase Ashen City here. Sara Baysinger grew up in the heart of the Andes Mountains in Ecuador where she spent her childhood exploring uncharted lands and reading all things magical. She now lives among the endless cornfields of Indiana with her husband and two young children. Sara enjoys writing and reading anything out of the ordinary, and has a bad habit of zoning out at the most inopportune moments. She is currently considering seeking medical attention for her potentially life-threatening coffee addiction. 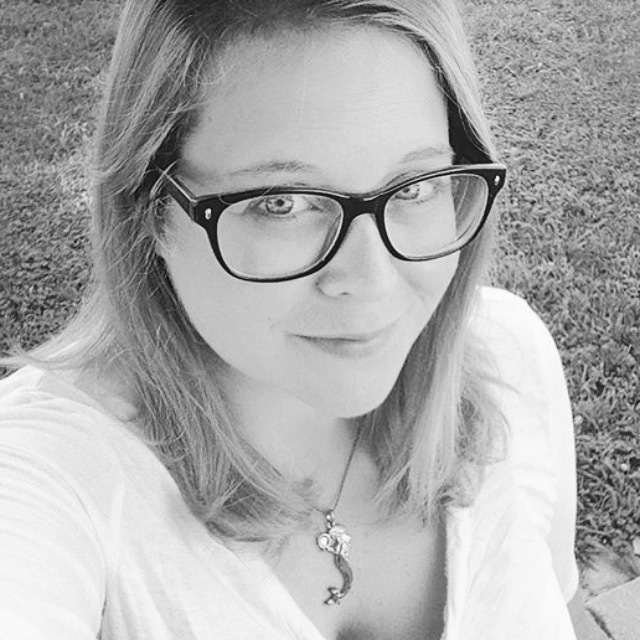 Connect with Sara on her website, Goodreads, Facebook, Twitter, or Instagram. Thank you so much for joining us today, Sara!! Great choices! I'm just re-starting 'Shatter Me' now. It didn't grab me the first time I picked it up (almost a year ago), so I'm glad to hear you enjoyed the series. And 'Selection.' *swoooooon* I didn't expect to like it as much as I did either!